The Blueprint Winter 2019 is finally here! 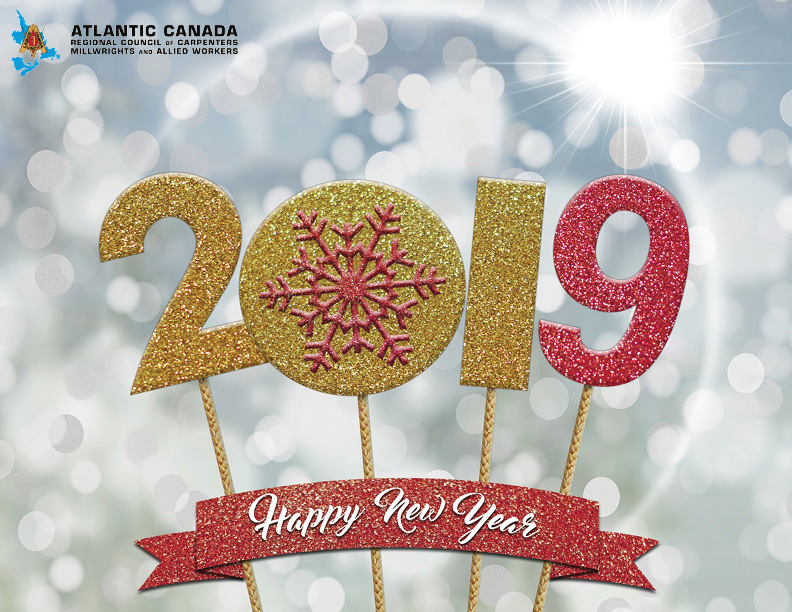 The Atlantic Canada Regional Council Wishes You A Happy New Year! 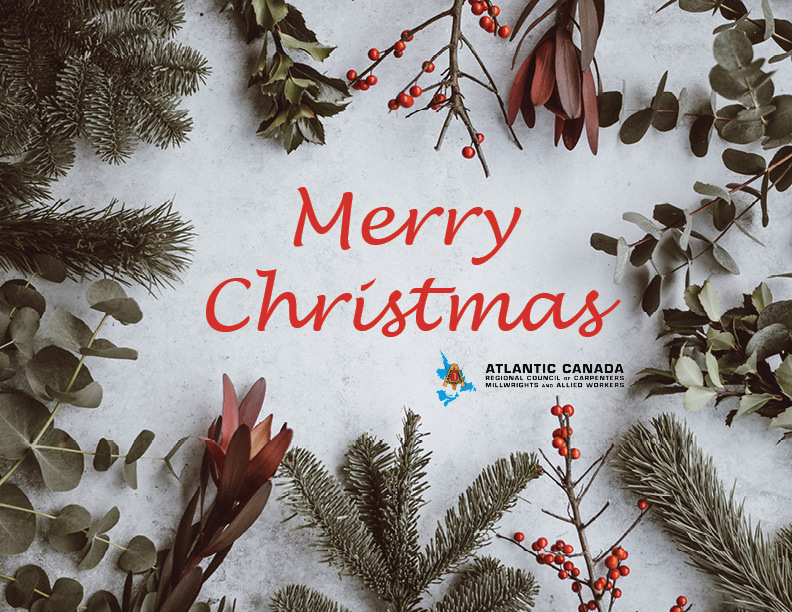 The Atlantic Canada Regional Council Wishes You A Very Merry Christmas!! 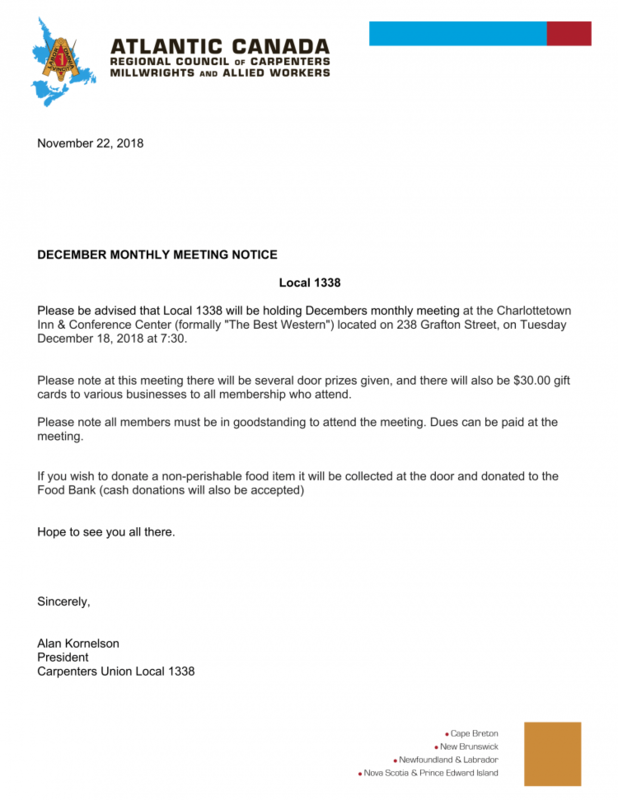 Charlottetown Christmas meeting has been postponed to Jan 15th, 2019 due to weather conditions. 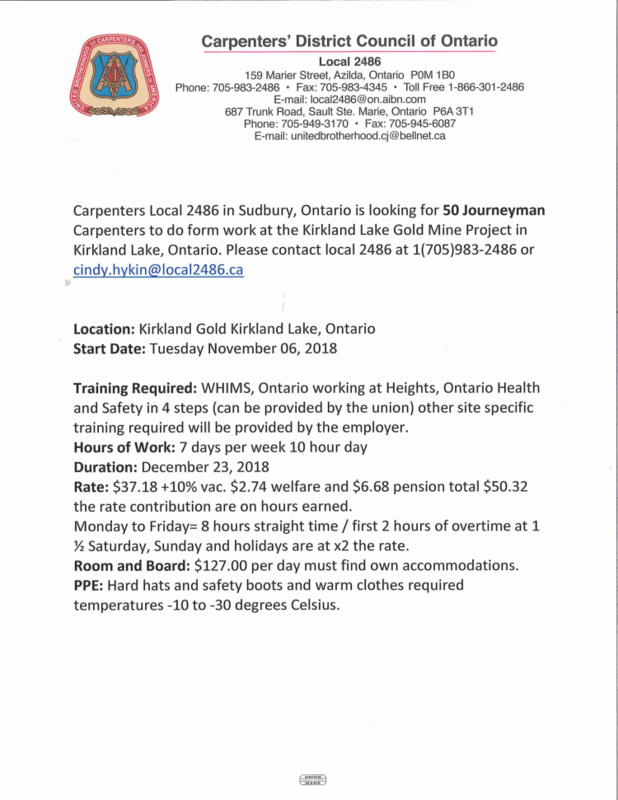 Ontario Is Looking For 50 Journeyman!!! The Lincoln Ross Memorial Bursary is available to all members of Local 1338 and their immediate families (Spouse/Child) who are attending or will be attending a post-secondary education institution. 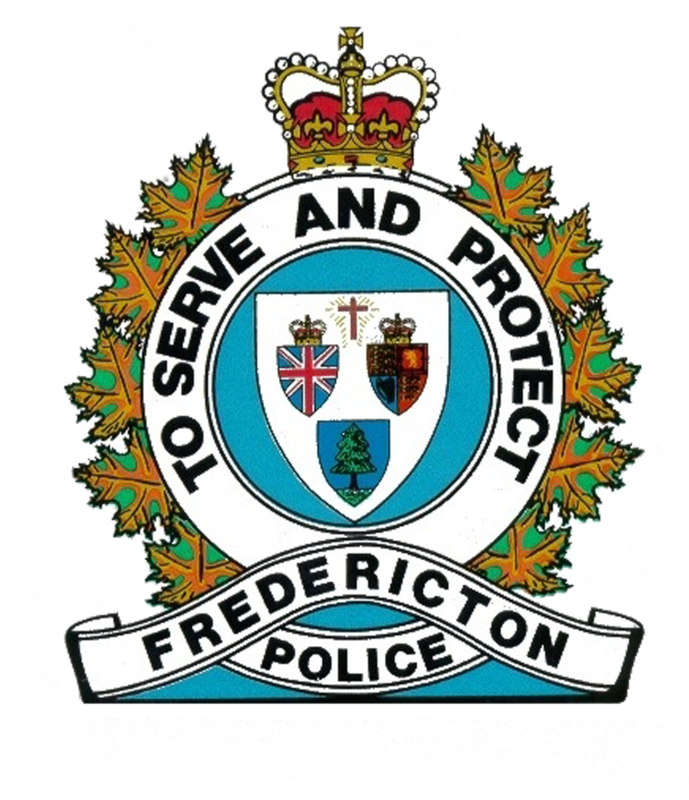 The Atlantic Canada Regional Council of Carpenters, Millwrights and Allied Workers is grieving the loss of two of our members on the job this morning. 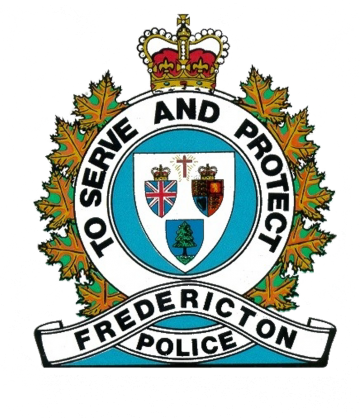 This mornings shooting in Fredericton claimed the lives of two members of UBC Local 911. Please take a moment to say a prayer for these fallen first responders. Pre-Authorized Debit For Monthly Dues Is Now Available! Pre-Authorized Debit is an automated recurring payment from your bank account for things like mortgages, investments, or in this case monthly dues. Pre-Authorized Debit makes paying your monthly dues simple and stress free. It allows you keep up to date with your dues without the stress of finding time to come in to and pay them. Fill out the form below, mail it to the address indicated or email it to vspencer@acrc.ca, and your done. Please be advised there will be a 2018 Sisters in the Brotherhood Conference at the International Training Centre Las Vegas from August 26-29, 2018. The Atlantic Canada Regional Council has been allocated 25 spots for our members to attend. In order to qualify for this conference you must write a brief letter as to why you should be chosen to attend the conference. In addition to qualify you must be in good standing with the Union . Please forward your applications to sib@acrc.ca by June 18 2018. The successful applicants will be notified by June 21 2018. Thank you for your continued interest and support for the Sisters in the Brotherhood.